3GPP TS 36.300. Evolved Universal Terrestrial Radio Access (E-UTRA) and Evolved Universal Terrestrial Radio Access Network (E-UTRAN) V13.4.0[S]. 2016. C. Rosa, K. Pedersen, H. Wang, et al. 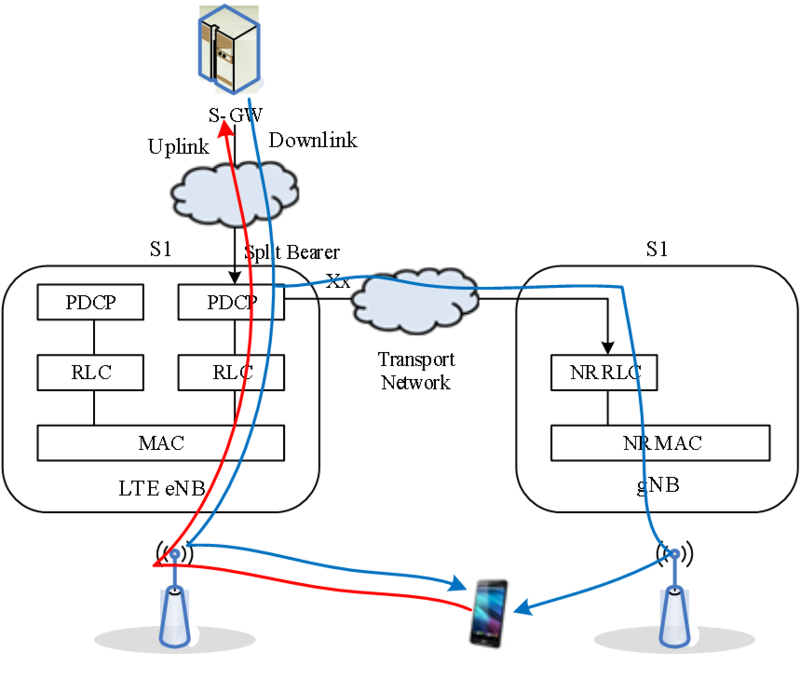 Dual Connectivity for LTE Small Cell Evolution: Functionality and Performance Aspects. IEEE Communications Magazine[J]. 2016(54): 137-143. 3GPP TS 38.801. Study on New Radio Access Technology: Radio Access Architecture and Interfaces V14.0.0[S]. 2017. 3GPP TS 38.804. Study on New Radio Access Technology: Radio Interface Protocol Aspects V14.0.0[S]. 2017. 3GPP TS 36.423. Evolved Universal Terrestrial Radio Access Network (E-UTRAN); X2 application protocol (X2AP)[S]. 2017. 3GPP TS 23.501. System Architecture for the 5G System; Stage 2[S]. 2017. Hua Wang, Guillermo Pocovi, C. Rosa et al. Configuration of Dual Connectivity with Flow Control in a Realistic Urban Scenario[C]//IEEE 82nd Vehicular Technology Conference (VTC2015-Fall). 2015: 1-5. Hua Wang, C. Rosa, K. I. Pedersen. Inter-eNB Flow Control for Heterogeneous Networks with Dual Connectivity[C]//IEEE 81st Vehicular Technology Conference (VTC Spring), 2015: 1-5. Meng-Shiuan Pan, Tzu-Ming Lin, Chun-Yuan Chiu, et al, Downlink Traffic Scheduling for LTE-A Small Cell Networks with Dual Connectivity Enhancement[J]. IEEE Communications Letters, 2016(20): 796-799. David Lopez-Perez1, Daniela Laselva1, Eugen Wallmeier, et al. Long Term Evolution-Wireless Local Area Network Aggregation Flow Control[J]. IEEE Access, 2016(4): 9860-9869.